2 Looking to buy an LS2? 14 Definitely want an LS2? 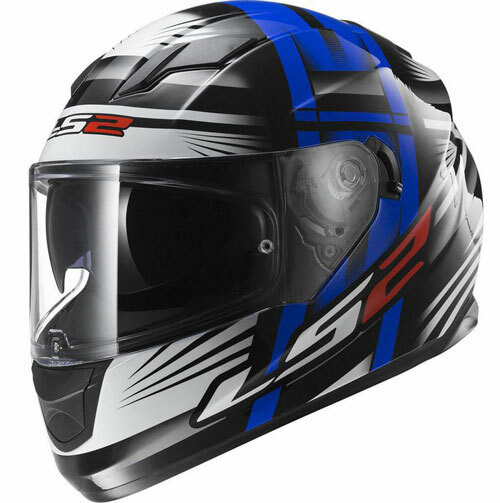 The FF320 Stream is a polycarbonate full face helmet produced by Chinese maker, LS2. It’s been designed to suit as many people as possible – not necessarily full-on sportsbike riders but for the rest of us – the cruisers, tourers or naked bike riders who don’t spend their days with helmets glued to the tank. It is a lower priced helmet – but it does come with some useful features such as a drop down sun visor, optically correct main visor and quick-fasten micrometric strap. So here’s the lowdown on what the LS2 FF320 Stream offers – and crucially, a round up of what owners and riders think of it. 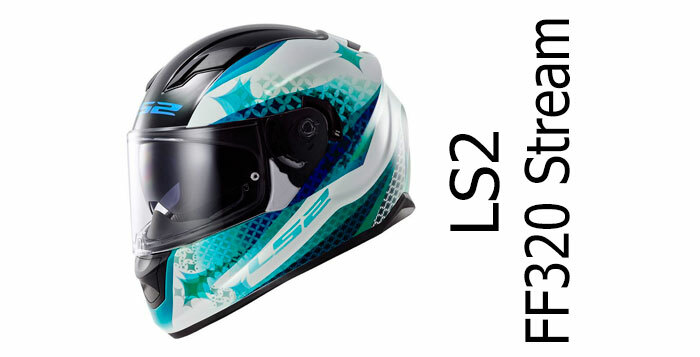 The LS2 FF320 Stream is SHARP 3 star safety rated, produced in one shell size, has a lockable and optically-correct main visor, useful sun visor and micrometric fastener. Next! Ok, there’s lots to take in there but all these elements combine to make a helmet that should be pretty safe. 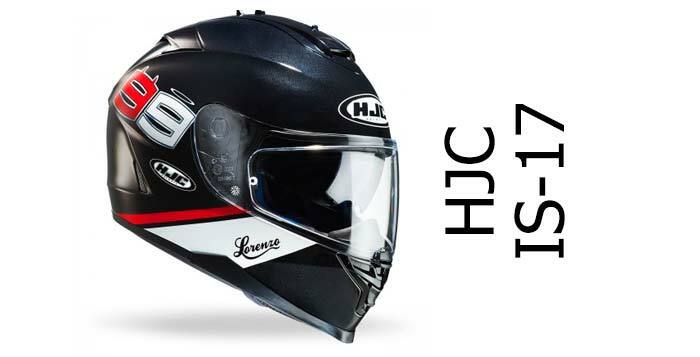 The LS2 is ECE 22.05 approved (meaning it’s been rigorously tested before going on sale – more here) but it’s also been tested by SHARP, the UK government crash helmet testing labs, where it scored a reasonable 3/5 stars. It’s not the best (look here if you want to see the helmets that scored four and five stars when tested) and it does highlight some potential flaws – but it’s pretty good. To put it in context, Arai’s average score across all tested helmets is 3.5 out of 5 stars! 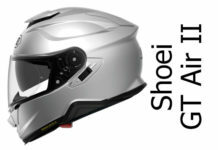 So I’ll not go on further about polycarbonate shelled helmets or dual density linings etc. – the SHARP test wraps up all the pros and cons of the safety of each helmet into a single simple score. The LS2 Stream is also only made in one shell size. Some helmets are made in four shell sizes meaning they’ll look better and have just the right ratio of shock absorbing lining and comfort lining so they’re not padded out or under-padded to accommodate the different fitment sizes. So that’s not a feature in the LS2’s favour. However, there are a few other features that are welcome on the Stream and contribute to overall safety. The main clear visor locks closed and is optically correct – both potentially good for safety. It also comes with a sun visor making it less likely you’ll get caught out when the sun’s low and dazzling – and the micrometric fastener is nice and easy to use, hopefully meaning you’ll get your helmet fitting securely for every ride. Lots of owners seem to think the LS2 FF320 Stream is one loud helmet. There’s always a mix of opinions when it comes down to helmet noise, depending on the type of bike you ride, whether you’re behind a screen or not – or even what your last helmet was like. All these factors usually colour our judgement. And while some owners reckon the Stream is OK, there are lots who say it’s very loud. 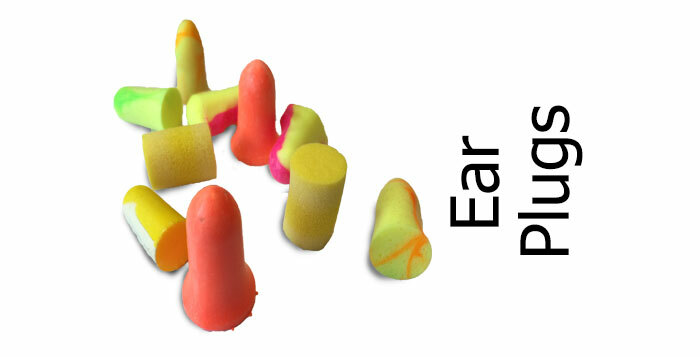 As usual, stick in a pair of decent ear plugs and you should be fine though. Good ventilation is needed to keep you cool on hot days and help keep your visor fog-free on cold days. Ventilation on the LS2 FF320 Stream is through a single chin vent and twin forehead vents. The chin vent works with a simple toggle switch – one that’s nice and big and easy to use in gloves. The forehead vents are covered with sliders. 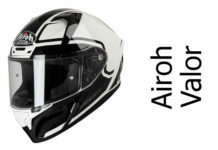 Again, they’re both nice and easy to use and allow air to flow through channels inside the helmet and out of the rear through a single exhaust vent. However, even though they’re nice and easy to use, reports are that the flow through them is only about average. If you’re riding on a cold or rainy day, your visor will probably fog up without a Pinlock or similar (tbh that’s same for most helmets though). And if you’re riding on a really hot day, the flow through possibly won’t be enough to keep you cool (if masses of ventilation’s your thing, check out one of these helmets). If you’re only going to be riding in moderate temperatures though – or using it for shorter journeys – the LS2 Stream should be fine though. It’s only in more extreme temperatures where users reckon it struggles. 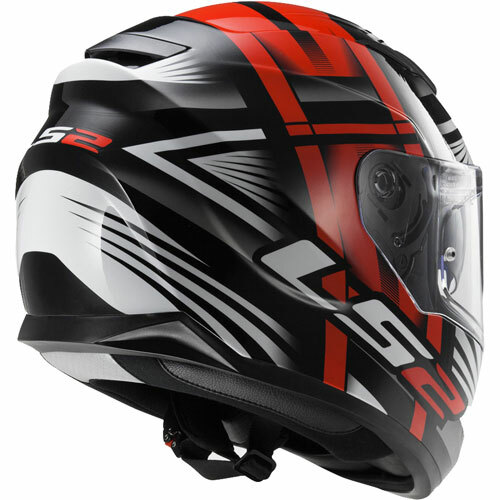 The LS2 comes with a 3mm thick optically correct clear main visor. The main visor works on friction (rather than a ratchet) meaning you can open it and position it wherever you want and the visor should stick open in any position. However, some folks say it can struggle to stay open at intermediate points, slamming shut without warning and leaving riders with the options of fully-open or closed. Not good. One or two also report an annoying whistling from the Stream – possibly because of a faulty seal around the visor. But overall, most folks don’t seem to have a problem with it – and they seem to positively love the quick release visor mechanism. Check the video from the LS2 dude below to see how easy he finds it (though we have to say that you can make most quick release mechanisms look REALLY easy in a video – once you’ve given it hours of practice!). One nice feature on the Stream’s visor is that it locks closed; but is still really easy to unlock and open with one hand. What’s not so good is that when you do it, the visor opening tab is so close to the chin vent that you can end up closing the chin vent every time you do it! Ooops. Onto the Sun visor and it’s a decent sun visor that’s operated by a lever near the left visor pivot. There’s usually two areas relating to sun visors which draw criticism from owners. First is that sun visors can be a bit light. Second is that they sometimes don’t come down low enough. A few owners commented the sun visor on the LS2 FF320 Stream doesn’t drop down low enough, leaving a stripe of really bright light at the bottom. Obviously, sun visors have to fit a lot of different shapes and sizes of faces & noses so they’re always gonna be a bit of a compromise. And whereas you might well buy shades that sit right against your cheeks, sun visors usually sit a little bit away from the face so they don’t rub uncomfortably. We didn’t see any comments about the sun visor being too light though – and one owner did say it was nice and dark – so that’s a big tick in the box if you live somewhere very sunny so want a shade that’s a bit darker than most. Overall though, owners seemed very positive about how the drop down sun visor works. The LS2 Stream can be a tight fit when you first pull it on. One or two people commented it can be a bit like a birthing experience (!) – but once it’s on it’s nice and comfortable. It’s worth knowing that it’s been designed to fit people with slightly longer, narrower heads best (what some folk call long oval heads). Also that there’s a split between owners who say the Stream’s sizing is about right and others who say it’s a bit on the small size. We’d suggest you measure your head (using our guide) and then order the right size. But if you’re between sizes, maybe go for the size up. Also if you’ve noticed your previous helmets have pressed uncomfortably on your forehead, that probably means you’ve a longer type of head. In which case the Stream might well be good for you. The interior lining is removable and washable, hypoallergenic (i.e. shouldn’t cause an allergic reaction) and is widely reported as being nice and comfy. There’s also a glasses groove in the sides to stop your glasses’ stems digging into your face, and there’re modest cut-outs to fit speakers (see more below). Overall, owner feedback is that it’s a good comfortable helmet. 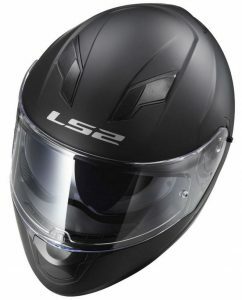 The LS2 FF320 Stream certainly looks the part; with its complex shape and sun visor it looks like a purposeful, modern crash helmet. 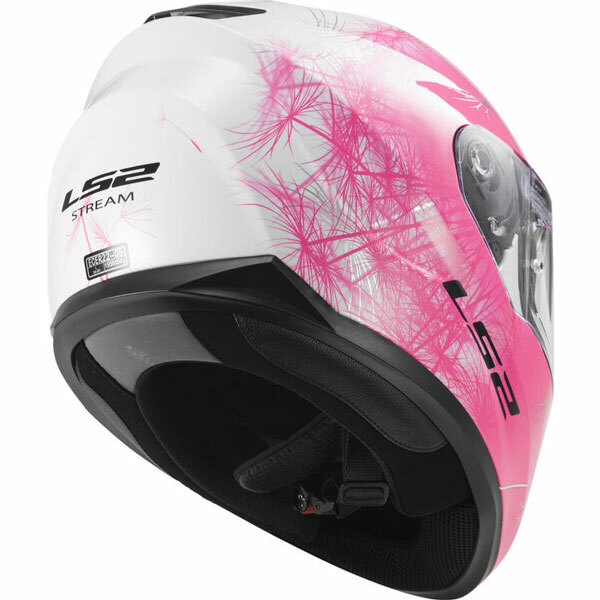 There’s quite a few designs around too – the usual solid, plain colours (one white and two blacks) – and our pick of the others include the bright pink Wind, the urban Fan helmet (especially in orange! ), the black/white Lunars and the bonkers Bang designs. 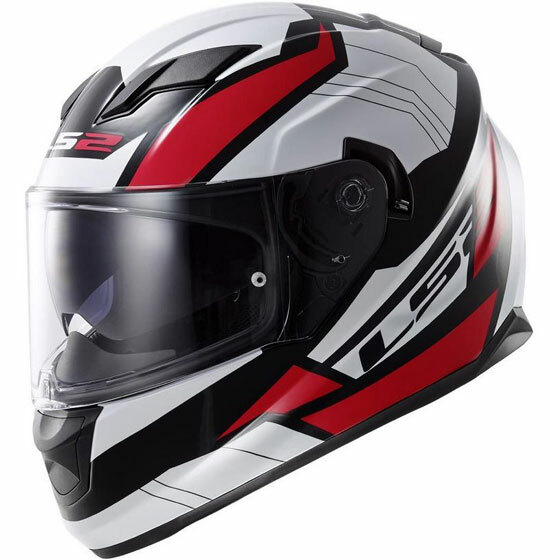 There’s lots of others though so if you want to see the latest designs, it’s probably worth clicking on the links to our recommended retailers below, which will drop you onto their LS2 helmets pages where you’ll find some of the latest designs around. Bloke from LS2 USA gives you a quick tour around the 310 Stream. 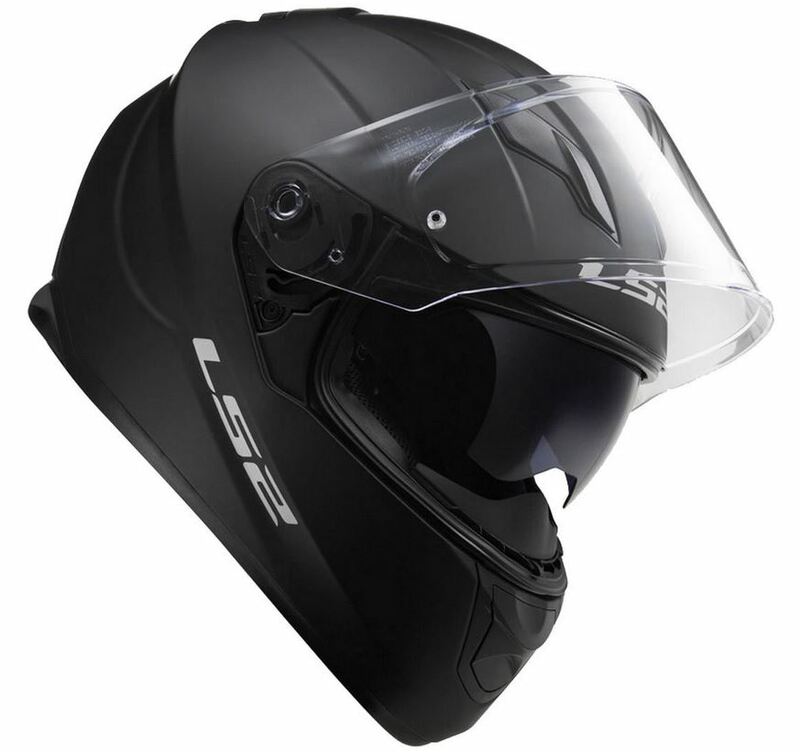 The LS2 Stream is slightly heavier than the average full face helmet – but then it does have a drop down sun visor which most full face helmets don’t. Owners don’t moan about the weight too much though so we think you’ll probably find it OK to live with. If you’re looking to fit a bluetooth set to the Stream though, it’s possibly not the best. The speaker pockets are there but they’re a bit small and there’s not much thought gone into microphone placement either. Some owners have successfully fitted a kit though – including a Cardo Scala Q3 – though they suggest you have to mount it with sticky velcro tabs. Finally, the FF320 Stream comes with a removable chin curtain and breath deflector – but only a 1 year warranty (some helmets come with a 5 year warranty these days). So you’re wanting a full face helmet with sun visor but don’t want to pay much (makes sense to us!)? Well there’s not much around (shows what great value the Stream is!) but you might want to read about the Shark 700S – that’s a SHARP 4 star rated polycarb helmet that’s about the same weight as the Stream and can be had for around the same money. There’s also AGVs K3 SV – that’s a tad more expensive than the LS2 Stream, but it’s fully loaded with SHARP 4 star safety rating, sun visor, Pinlock, great ventilation – and it’s slightly lighter too. 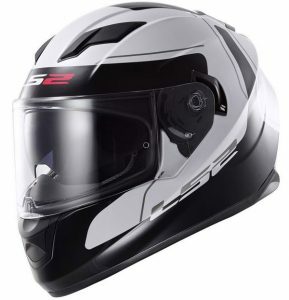 If you’re not so bothered about a sun visor, there’s a couple of other SHARP 4 star rated helmets you might want to look at: the Scorpion EXO 400 Air is a great budget crash helmet – and so too is the Shark S600 which can also be had for a tenner less than the LS2! We go into quite a bit of detail in our reviews so you’re aware of any niggles that might be coming your way. And we found a few with the LS2 FF320 Stream. 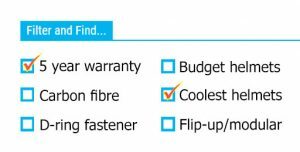 But you’ve gotta put that into context – and that is that you’re getting a whole lot of features and performance at a really attractive price! And that’s the calculation that most owners make. Yep, you can point out a few failings here and there – but for this low price you’re getting an awful lot of crash helmet. 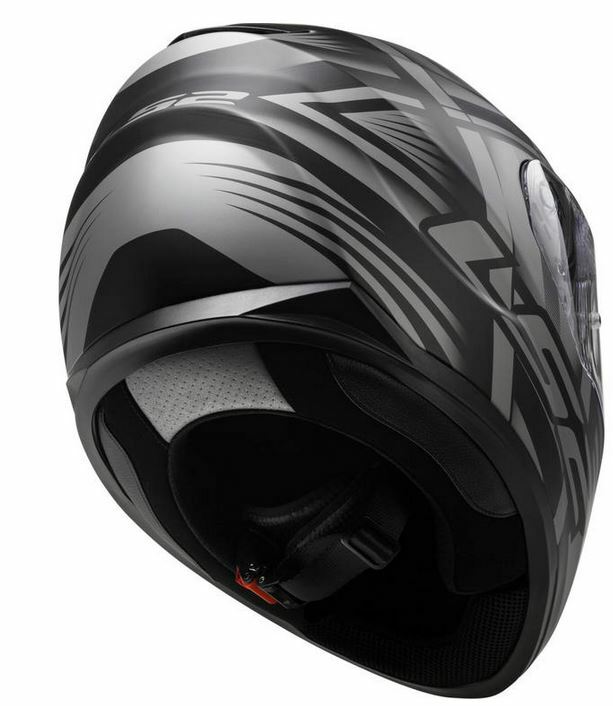 We’d say, you might not be getting the lightest, safest, or quietest helmet on the market, but it’s a competent all rounder which will suit lots of people’s needs – and their bank balance. So if that sounds like where you’re coming from, then the LS2 FF320 Stream is definitely worth a look. The LS2 FF320 Stream is a great budget helmet. SHARP 3 star safety rated, drop down sun visor, optically-correct main visor - there's lots of features for a small price. You get a lot of bang for your buck with the LS2 Stream - so if you're after value for money, it's well worth looking over. Previous articleWhat do owners think of the Nolan N91 Evo modular motorcycle helmet? I bought one in black matte nº 58. I ride a 2009 Suzuki Boulevard M50. I love the appearance of helmet, though it’s made in just one shell size. It’s very confortable and even being a little heavy, was just time to accustom whith the weight. The main clear visor it’s wonderful, don’t have any distortion, great amplitude of vision, many stages of opening, it’s a shame it don’t come with a pinlock. The solar visor has a good dark blue color, but it was my main disappointement… You can percive distortion and it stops too high, disturbing the vision area. Usually I don’t use it, just when sun come direct to my eyes, than it’s a relief to have it. 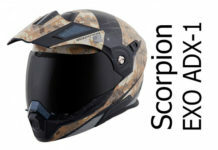 The vents are easy opperable, never had any problem of too much or too less air flow, the air isolation of the main visor is excelent, but the high cut of the helmet let enter too much air at bottom side of the helmet, mainly at the neck, this makes it loud as hell, especially because I use aftermarket pipes. Pros: Appareace, main visor, confort, micrometric fastener, good for glasses. Cons: Loud, disappointing solar visor, poor botton side isolation.